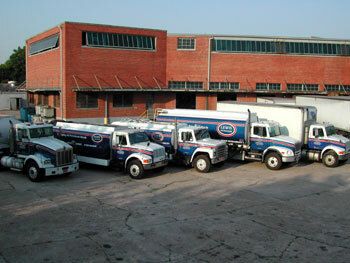 Lewis Petroleum is a family owned and operated company that has been in business since 1975. With three generations of experience in the petroleum market, Lewis Petroleum Co. is committed to delivering competitively priced products and innovative petroleum services. The company, which once began with one retail service station in Atlanta, GA, has grown its services to distribute fuels, lubricants, and other related petroleum products in North/Central Florida and South Georgia. It has also expanded its petroleum services to include fleetcard solutions, environmental services, and petroleum construction. Lewis Petroleum Co. serves approximately 1,500 commercial and industrial customers, who are located within a three hundred mile radius of Jacksonville, FL. Lewis Petroleum Co.’s main branch location is a 200,000 square foot, state of the art warehouse with 250,000 gallons of bulk lubricant storage and with thousands of petroleum products in inventory. The company also has over 500,000 gallons of bulk fuel storage with high speed loading racks and dispensers for servicing fuel customers more efficiently. For companies with vehicle fleets, Lewis Petroleum Co has 8 commercial fuel locations that are open 24hours/7days per week, and these sites accept all major fleetcards, such as Wright Express, Voyager, Fuelman, Visa Fleet, Mastercard Fleet, and its own Lewis Fleetcard. Lewis Petroleum Co. partners with reputable suppliers such as PetroCanada, Chevron, Citgo, Hess, Colonial, Koch, Murphy, TransMontaigne, Flint Hills, Valero, and BP to bring quality products to its customers. Lewis Petroleum Co. has also developed its own quality, competitive brand called DuraTech Performance Lubricants. With service as our #1 priority, the company’s lubricant engineers and salespeople are committed to giving technical support and solutions. Lewis Petroleum Co. is an environmental company and is licensed to collect used oil, antifreeze, contaminated water and soil. As a licensed Petroleum Contractor, Lewis Petroleum Co is capable of accomplishing any kind of environmental cleanup. The petroleum construction division is also able to install, service, or remove any type of petroleum equipment. With a wide range of Products, Service, and Experience, Lewis Petroleum Co is “Supplying All Petroleum Needs”.